New Jersey residents and tourists have a unique blackjack opportunity. New Jersey allows anyone located within the state that is 21 years of age or older to play online blackjack. The games are banked by Atlantic City casinos and licensed by the New Jersey Division of Gaming Enforcement. All casinos in Atlantic City offer online blackjack except Atlantic Club and Revel. This means players can access games directly from a casino’s website. The participating resorts are Bally’s, Borgata, Caesars, Golden Nugget, Harrah’s, Resorts, Showboat, Tropicana, Trump Taj Mahal and Trump Plaza. Blackjack is not the only game that is available, but it is the best one in terms of player odds. Video poker and other games offered by New Jersey online casinos have higher house advantages than video poker, slots and other table games. 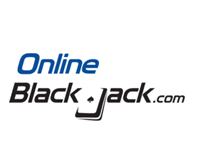 A New Jersey online blackjack account may be made in person at a participating Atlantic City casino or over the Internet through a casino’s website. Players that create an account in person will be required to show proper identification and a valid Social Security Number. Players that create an account online will have their address and other personal information verified. This may include an addition verification questionnaire. Players that cannot pass the verification online will need to confirm an account in person. Players that win $1,200 or more on a single play will receive a W2G tax form. This is identical to the policy in brick and mortar casinos. Players will be expected to pay taxes on all winnings, regardless of whether a W2G is issued. New Jersey online casino players may deposit at any Atlantic City casino cage. Credit cards, debit cards, electronic checks and ewallets are also options. Credit card deposits are processed as cash advances. New Jersey online casino players may withdraw cash at a casino cage or by check, electronic check or ewallet.